One point that may not be obvious to both new and seasoned CR-48 users is the distinction between “Channels” and “Modes”. You may hear of people running in Developer mode, or you may hear of OS upgrades coming over the Beta or Developer channels. What are the differences, and why should I care as a user? Here is a brief description of the differences between modes and channels, and the distinctions of each. Channels determine what version of the OS is loaded onto your CR-48. There are currently two OS channels: Beta and Developer. The Beta channel makes available the latest Chrome OS release intended for normal users. This channel provides a more stable and reliable OS version. The Developer channel makes available the latest developer build of the Chrome OS. It is intended for developers and more advanced users to get a glimpse of what is coming next for the beta users. It is more of a test platform. While features and functions may be added, releases coming from the Developer channel are typically considered less stable than those coming over the Beta channel. Users who are not computer-savvy or don’t want to hassle with possible instability of new or untested features may want to stick with releases from the Beta channel. The “mode” is the manner in which the CR-48 operates. There are three specific modes that the CR-48 can operate: Normal, Developer, and Recovery. 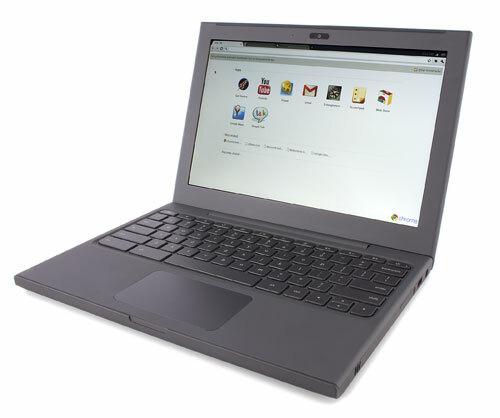 The Normal mode is the stock user mode that boots Chrome OS and permits the user to interact through the Web browser. It enables “verified boot” meaning that only OS images signed by Google will be bootable. In the terminal screen, user interaction is limited to a small set of diagnostic-related commands. Developer mode is an operating mode similar to Normal mode, however “verified boot” is disabled meaning that the system, can boot OS images that are not signed by Google. This gives the ability to load other OS’s or modifications of the Chrome OS as they see fit. Further, terminal mode adds an additional “shell” commend providing full shell access to the underlying OS. The third mode is “Recovery” mode designed to get you back to a factory state. It will not boot the installed OS, it prompts you to insert a USB drive containing a valid boot image, and it will only boot an image signed by Google. So when someone refers to a “Developer channel” release of the OS, they may or not be referring to running in “Developer mode”.